Despite Its Slow Speed, The OS2U Rescued, Spotted, and Observed Its Way Across World War II. Vought’s OS2U Kingfisher first took flight on March 1st 1938. 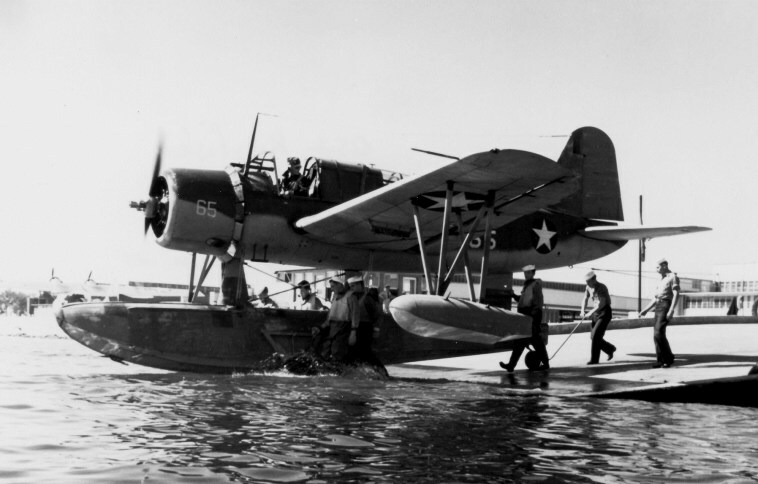 This observation floatplane, conceived as a replacement for the Curtiss SOC Seagull biplane floatplane, operated from American Navy battleships, cruisers, and even a few destroyers via catapult and from shore bases around the world during World War II. In so doing the slow but steady Kingfisher earned the sobriquet “Eyes of the Fleet.” While the every single one of the 1,519 OS2Us Vought and the Naval Aircraft Factory built was so slow it had trouble getting out of its own way, some elements of its design and the methods used to build them were radically advanced and would be seen on tens of thousands of subsequent aircraft. 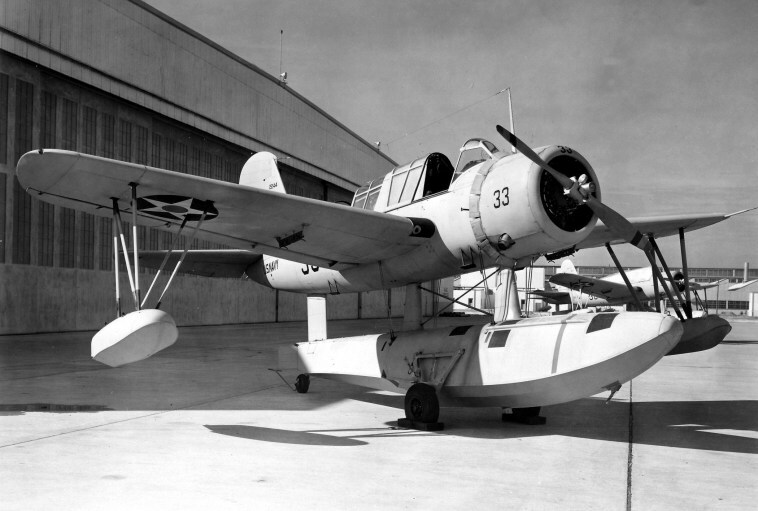 The Kingfisher was designed by Vought engineers, and together with the Naval Aircraft Factory methods were devised to build the floatplane using spot welding- a first for production aircraft. This resulted in a stronger and more rigid structure with lower drag. The Vought engineers also added high-lift devices such as spoilers, deflector plate flaps, and variable geometry ailerons which together increased the camber of the wings. The added lift produced was appreciated because Kingfishers were underpowered by a Pratt & Whitney R-985-4 Wasp Junior radial engine which produced only 450 horsepower. All those horses pulled the advanced (for its day) airframe around at somewhere between 70 and a brisk 100 miles per hour with a “top” speed of 164 miles per hour. The OS2U’s wings were mid-mounted with a single large float under the fuselage and smaller stabilizing floats mounted outboard on each wing. When launched by catapult Kingfishers on floats were brought back aboard after landing on a relatively flat surface produced when the recovering ship made a wide sweeping turn. The OS2U would then taxi onto a “sea sled” towed just below the surface. A small hook on the bottom of the float would engage the sled. This procedure allowed the OS2U to be craned aboard the ship from close aboard. The Kingfisher was armed with a pilot-fired .30 caliber machine gun mounted and firing forward in the nose as well as a defensive ring mount for either a single or dual .30 caliber setup aft for the gunner/radio operator/observer. Capable also of carrying a pair of 100 pound bombs or two 325 pound depth charges, the warload of the Kingfisher was modest. However, this seemingly innocuous floatplane could call in all sorts of ordnance when its crew observed targets or spotted for naval gunfire. Read the rest of this amazing blog over at Avgeekery.com.